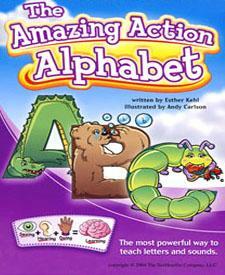 The Amazing Action Alphabet series It is a simple combination of seeing + hearing + doing that = LEARNING! Researchers and educators have found that people retain 20% of what they hear, 50% of what they see and hear, and up to 90% of what they see, hear, say, and do. The system, called The Amazing Action Alphabet, offers a popular flip chart with alphabet characters and stories, a CD of each alphabet character, activity books, visual aids such as posters and placemats, and mini books. The Amazing Action Alphabet approach is based on a series of engaging alphabet characters, involves seeing, hearing, and ‘doing’ physical actions, making it possible for children to retain more of their learning. The success of the system lies in the combination of multi-sensory, hands on experiences that engage and involve young learners. Esther continually receives enthusiastic feedback from parents and educators who have remarked how fun, simple and effective the Amazing Action Alphabet books are. I was sent the flip chart and CD to review. This is a most awesome set for teaching children the phonic sounds of the letters of the alphabet. The tunes are catchy you may listen to sample on the web site here. Also view the clip chart and activity book pages. The pictures are bright and cheery. What I liked about the flip chart is that while the child is viewing the picture you can read the story for that picture from the back side of the chart; the set up is so neat. A neat, fun, creative way to captivate your learner. This is a very awesome teaching tool. Good for any classroom, resource room, home school, or just a parent that wants to use it to teach your child or reinforce what they are learning. Esther Kehl established the SeeHearDoCompany LLC in 2006. 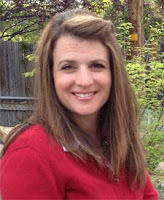 She is a former elementary education teacher and reading specialist. While working in education, she saw the need for a comprehensive strategy to help students succeed in letter and sound acquisition. Not being able to find a comprehensive, user-friendly system on the market, she created her own system which she has continually been working on for 17 years. 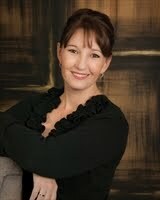 Her first book was published in 2004, and she continually works on new products that benefits the early learner. Her books have been highlighted on television programs, preschools throughout the United States, blogs, and newspapers. I was raised on a dairy farm in Northeast Minnesota. I was married two weeks after I graduated high school. Four years later, I was facing divorce and single parenting. Fast forward 5 years and I re-married. We were looking forward to an amazing life together, another child or two only to be faced with disappointment, loss and heartbreak. Through it though we somehow managed to grow and strengthen our relationship and our faith. Now, aside from my full time job, I do wedding, senior, and family photography and am involved with our area Bethel Sozo healing and deliverance Ministry which was birthed out of Bill Johnson’s church in Redding California. It is amazing! 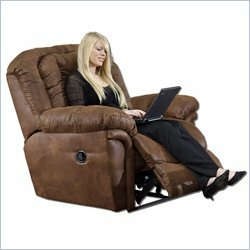 What are some jobs you've had in your life? Have they influenced/inspired your writing? I have had numerous working experiences from night auditing, nursing assistant, Medical record technician, medical receptionist, cashier supervisor, and now as a medical coding specialist. Every one of those places I encountered hurting people and that always made me want to write inspiring things to help them dig out of the dark pits they had fallen into. When I was very young, (too young to even know how to write my own name) I would sit on the kitchen floor at my grand parents’ house and “write” stories and then read them out loud while my grandparents played cards with their friends. It was all gibberish but I knew it was very inspiring! I also started writing inspiring articles for a previous employer’s monthly newsletter. I have had one poem published many years ago that won an award and currently I write regular medical coding articles for my employer’s quarterly provider newsletter. I also do presentations for our local coding chapter. Tell us briefly about your book and what you feel is the most important topic/sub-message you share. In All Things; Giving Thanks When Hope Seems Lost is my spiritual journey through, divorce, single parenting, raising a bipolar child, desiring a baby so desperately and then after being told it wasn’t possible, becoming pregnant and then losing our miracle through miscarriage. I share the most intimate and painful moments through those experiences and the amazing vision the Lord gave me when I was at the deepest part of despair that instantly healed my broken heart and gave me hope and a purpose to live again. It’s about a faith so strong that it caused instant healing and allowed me to be hopeful in all things life throws at me, knowing that He has a plan and we just need to see things through His eyes to see the gold in these life issues; because there is ALWAYS gold. It’s funny you should bring that up. I think this was truly the hand of God protecting me from all of those rejections. A dear friend of mine had a book published and shared with me about her publisher Halo Publishing who was so wonderful to work with. I hesitated for about two weeks before I contacted them and submitted my manuscript which by the way had been sitting on the shelf for about 4 years for fear of rejection. The screener called me the very next day and was very excited to publish my book. The owner of Halo, Lisa Umina called me personally one day while I was at the hair salon and told me she had never done this before but she sat down to read my book and closed her office door so she could finish it without being interrupted! She said she was so inspired by it that she had to set it down numerous times just to absorb the messages. Wow, she had me in tears and of course I had to explain to my stylist why. I find writing to come easily to me. It has always been a heart’s desire and I feel that when something is your heart’s desire that God put it there for a reason and makes that task easy. After I have finished a project either writing or photography job which I also do on the side, I always doubt myself and hesitate before presenting it to my customer or in this case publisher. The best thing about Halo’s editor is that she allowed my story to be in my own words. She didn’t attempt to change anything in order to appear to others to be something different. A previous editor I had look at my manuscript wanted me to sugar coat certain aspects in order to sound more “holy” I guess. I did not agree with her. I am a Christian absolutely without a doubt and I long to see people find peace and healing and freedom but not at the expense of selling myself out to become pretentious. I’m a real person and I feel that other real people need to see that. I used to write short stories when I was in 4th grade. But later, it was my grandfather who inspired me to want to pursue writing. He used to write articles for a local newspaper about his journeys through life and had such an amazing gift. I just had to wait until God wrote my story. Well since I’m just getting going in my 40’s I’m not so sure about that but I do know it has always been a very deep desire within me to write. 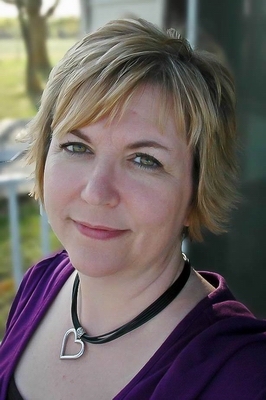 My favorite poet is Helen Steiner Rice, as far as books there are numerous favorites; Bill Johnson, Francis Frangipane, Danny Silk, Kris Vallotton, John Bevere are at all the top of my list. Her inspiring books helped so many find healing through so many of life’s struggles. She allowed herself to be used mightily and by God at any cost to help others find peace, forgiveness, and healing. She was not a pretentious person but valued her purpose on this earth to help others. She dearly loved her family and if you were her friend, you were a lifelong friend. She just couldn’t shake that Northern Minnesota accent though. Where you have lived and what you have experienced can influence your writing in many ways. Are there any specific locations or experiences that have popped up in your books? Oh sure, I write a little about the dairy farm I grew up on and the area we live in now. We live in a very redneck community in the country. I can say that because they are all relatives. But I wouldn’t trade one of them. They would give you their last cup of sugar or the shirt off their back to help you out. It’s nothing to come home from work and find half a dozen family members on their 4-wheelers riding back and forth through mud hole they found alongside the road after a rain. I LOVE it! If I was in my play clothes, I would jump out and join them. Is there any particular book that, when you read it, you thought, "I wish I had written that!"? Yes! John Bevere’s “The Bait of Satan” Amazing book! Not really because I am so busy with my regular job and family, photography etc. I write when I’m inspired. I don’t have the luxury (yet) to just sit at a desk write but I hope someday that will come to me. Plus I write from my life experiences so those are memories not created in my mind. Just a creative writing class I took in high school, and one English class I took in college that was so stringent on proper everything that it took the fun and excitement out of it. I found it very odd that a writer would be expected to write with exactly the same set of “rules” when each of us are created so differently and we all receive information differently. What type of books do you mostly write? Non-fiction inspirational. Although one day I would like to write children’s’ books. There are so many children facing so many difficult life events such as parents splitting, parents or grandparents dying of cancer, that I want to help them somehow make it a little easier to get through those things. It’s all about my family and our experiences so absolutely yes. The picture I get in my mind of how the reader will be blessed or how the lord may use my experiences to help heal someone facing the same things I have gone through. Do you find it hard to balance your personal writing time with your other job(s)? Yes, it is very difficult at times. I have to steal away time on rainy weekends or in the winter when our activities are not so busy. 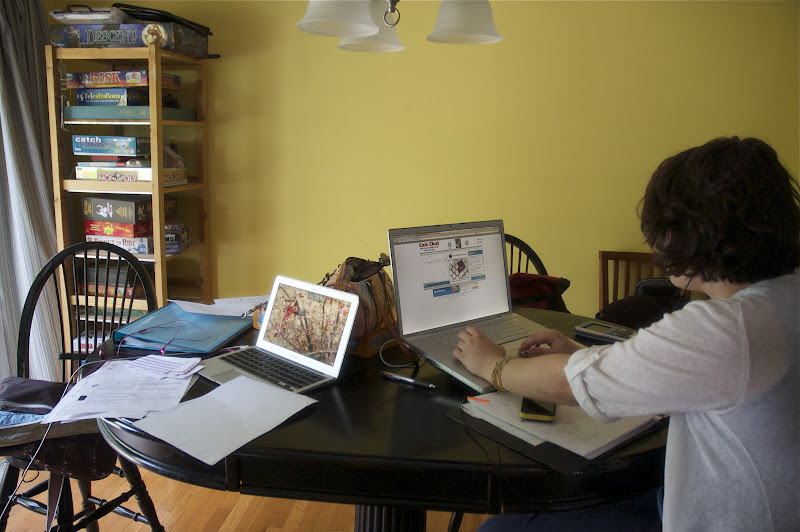 Kitchen table, recliner, park bench… It’s whenever and wherever I can find the time and place. Not really, I believe everything happens in God’s perfect timing. If we move in our own timing things don’t always turn out how He wants them to. I feel that traditional publishing is in severe trouble. P.O.D. is okay for family and friends who like signed copies or would like a keepsake but I see the world as such an instant gratification culture that e-books are going to be the norm. I do a lot of praying and then I get a mental picture of how I see the order of the book unfolding. Then I create a list of chapter titles to follow that order. It may not be the way other writers do things but it works very well for me with my very busy life. With this first one, it was all based on my own personal experiences so other than putting together notes from my journals, there wasn’t any research. My current book however requires all of my dad’s medical records in order to create a timeline and specific events. This all took time and money to gather. I have not yet but it is in my future plans. I find that my writing hand can’t keep up with my brain so the computer is much more efficient. Don’t rush your project. My first manuscript sat on my shelf for 4 years until I felt it was the right time. And when it was, God worked out all the details. I am in the middle of a virtual book tour and working on scheduling a few speaking engagements at some local Women’s Aglow meetings. Use this space to tell us more about who you are. Anything you want your readers to know. Include information on where to find your books, any blogs you may have, or how a reader can learn more about you and writing. I would just like to add that along with all of the issues I have shared in my book, the most impactful message is for anyone, men and women who have been touched by miscarriage or abortion there is a very special message just for you within this book. I strongly encourage you to read it because the Lord wants you to know, there is healing. You can find my book at Halo Publishing: www.halopublishing.com As well as all major online book sellers such as Amazon.com, Barnes & Noble.com etc. ; they can purchase either the paperback copy or as an e-book. Of course if you purchase the paperback through Halo, you will receive an autographed copy. 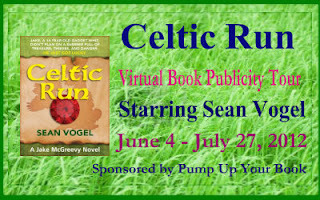 You can follow my virtual book tour as well as any other events and upcoming books on my Facebook and Twitter pages which I regularly update. 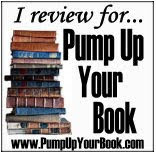 I thank you for taking the time to share with my readers about being an author. 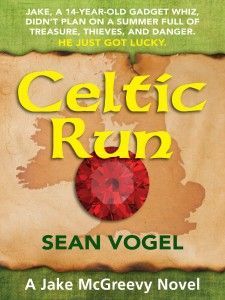 Learn more about this book and author at the Spotlight post here. Leave a comment telling me something you learned about the author today and I'll add you to a drawing for this book. US residents only please. 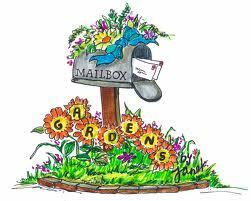 Want a second entry visit yesterday's post and comment there. Follow the blog hop icon below and get third chance to win there too. Drawing will be held July 2nd. Be sure to leave a way of contact. This interview and a copy of this book was provided for the giveaway by the author and A World of Ink Network. 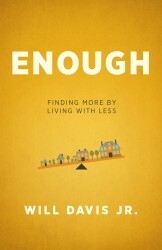 In the increasingly gray area between wants and needs, finding enough can prove to be very elusive. ~ taken from p. 24 of Enough: Finding More by Living with Less by Will Davis Jr. Chance to win a copy of this book read to end of Post. 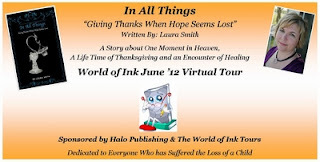 Halo Publishing and the World of Ink Network will be touring author Laura Smith’s, In All Things: Giving Thanks When Hope Seems Lost published by Halo Publishing Int. Experience an incredible journey that will make you laugh out loud and cry tears of joy and sorrow. Learn how one miraculous encounter with God created an unshakeable faith that would later give Laura Smith the strength to face the near death of her oldest daughter. 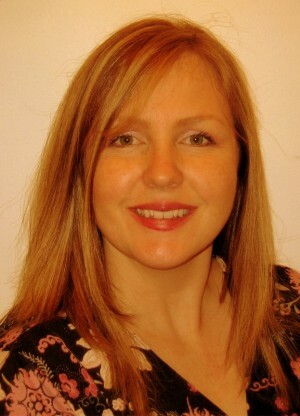 Laura Smith works as a medical coding and reimbursement specialist in Northern Minnesota. She spent her youth on a small dairy farm in Northeast Minnesota. She was married two weeks after her high school graduation. Three years and two children later, she was facing divorce and single parenthood. She moved to a college town in north central MN where she hoped to earn a degree and make a life for her and her two young daughters. There she met and married the love of her life. Together they embarked on a life together as a ready-made family facing all the challenges that comes with it. They had no idea that the life experiences they walked through early on and one life altering event would prepare them for the ultimate challenge, the possible death of their daughter. The author has graciously sent me a copy of this book to post for a giveaway. read to end of post to see how you may enter to win a copy of this book. 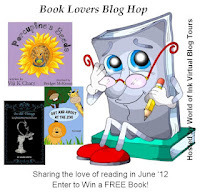 Also got to the blog hop page and enter for the book lovers blog hop giveaway. click icon below for details. 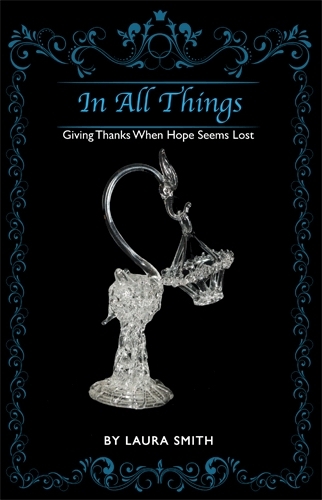 Now for your chance to win a copy of In All Things. Leave a comment telling me what intrigues you most about this author or book? Please I must limit this to US residents only. Be sure to leave a way of contact. Thanks. I'll leave this open through the end of the blog tour. I'll draw a winner on July 2nd. 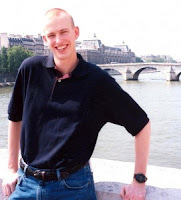 Visit the author interview and a bonus entry for the book here. A copy of this book was provided for the giveaway by the author and A World of Ink Network. Prayer isn't something that comes to most people. It takes time to develop a prayer life. 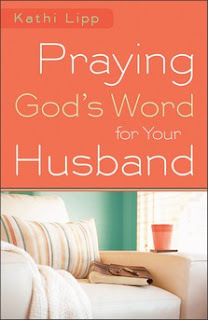 In Lipp's book Praying God's Word for you Husband she takes you step-by-step through how to develop that special time. The first part of the book Lipp takes the reader through the preparing steps, then in the second part helps the read develop your own prayers through praying scriptures. 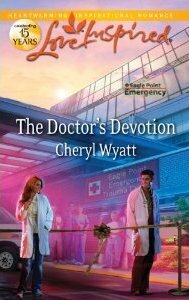 The author hopes to take her readers into a new experience and level of depth and richness in their relationship with God. You'll discover ways that you never thought of praying for your husband. 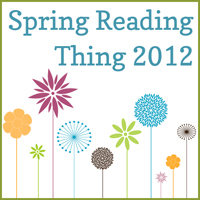 Totaling 31 books read during the SR challenge. This was a fun exciting mystery treasure hunt chase; Not to mention the scrapes and injuries that come with the territory. The twists and turns add new excitment to each turn of the page. One minute every thing is honky dory the next they are in over their heads in more ways than one. Quite the adventure in the land of Ireland. Jake’s name was called. He turned to see a man in faded pants and a colorful sweater bounding toward him. The powerful energy in his trim frame was clearly evident.